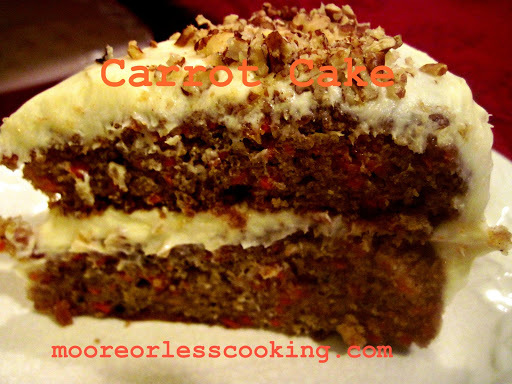 This is the BEST Carrot Cake! 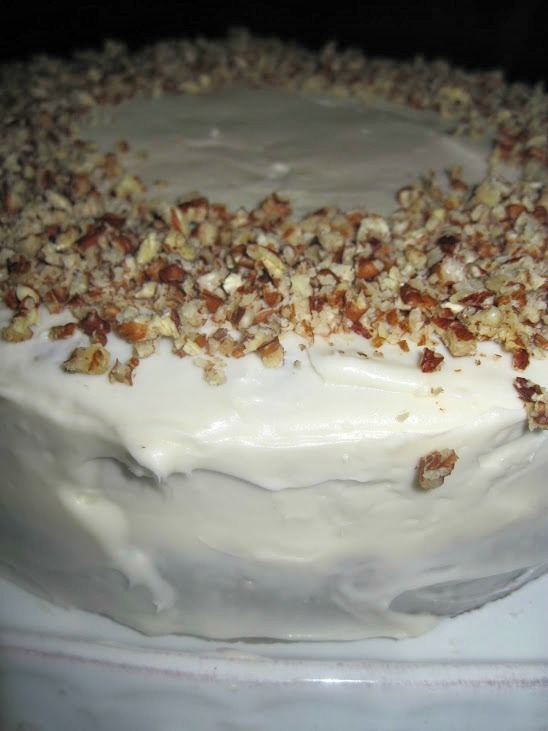 An incredibly moist carrot cake recipe with an ultra-creamy cream cheese frosting! Check out my YOUTUBE Video! Make sure to Follow me on YOUTUBE and not miss my newest videos! This was the cake that I was supposed to have for my birthday. 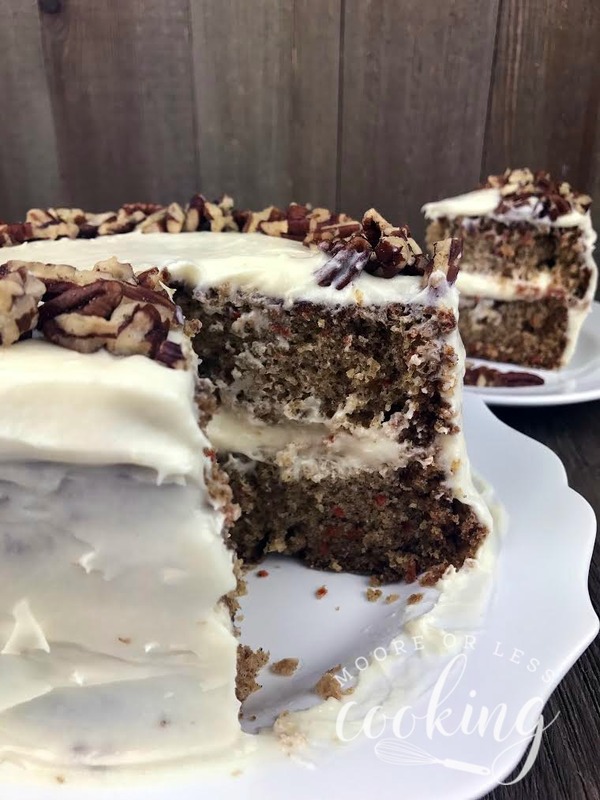 If you know me, you know that I am totally addicted to carrot cake, it is my favorite cake, the more carrots, and nuts the better. This has been my favorite since I was a young girl. Going through all of the recipes on the Internet, I made my favorite recipe from my Mom and Baby Wayne. This was the cake that we would make for parties and birthdays. When it was baking, all the memories of those parties started flooding back, my Mom and I with all the guys from the Floral Market. Since I told my daughter that I was going to make this cake and then made my Gingerbread Cake. She hadn’t forgotten and asked if I could make it when I got a chance. Since Amy’s Annual Wreath Making Party was coming up, I thought this would be perfect for the party. 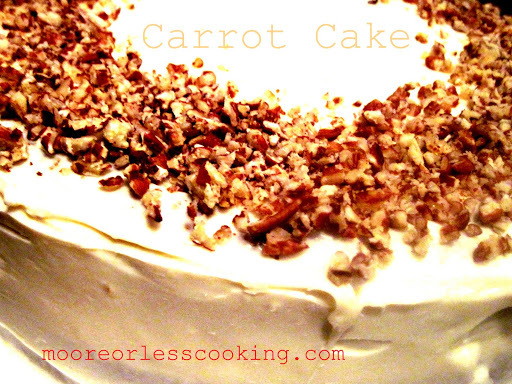 Everyone loves Carrot cake. 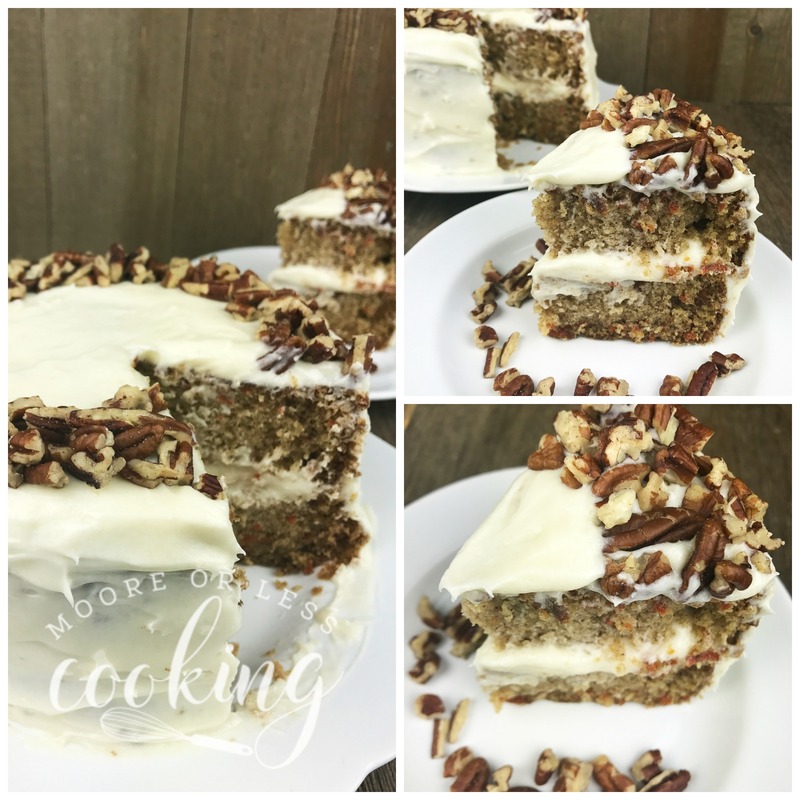 Seriously….THE BEST Carrot Cake!! Hands down, no more discussion!! 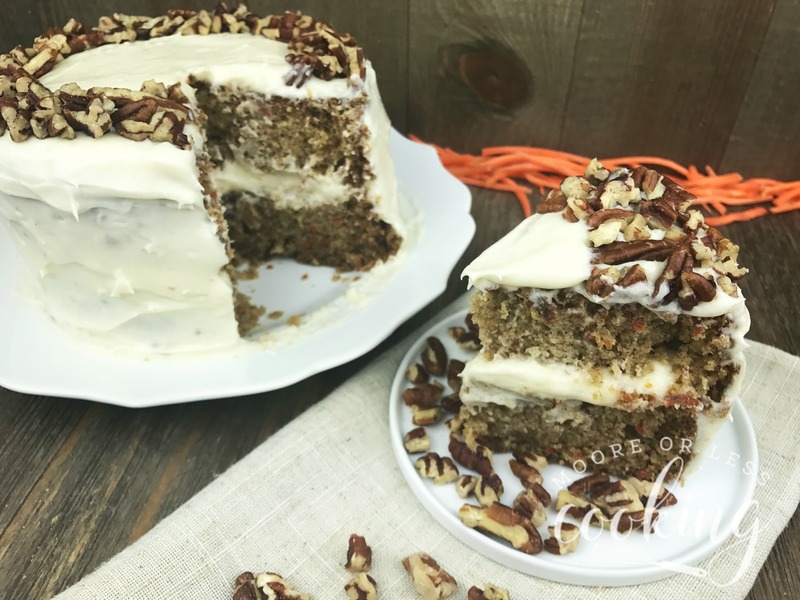 This is the BEST Carrot Cake Recipe EVER! Preheat oven to 350 degrees. Grease tube pan or two cake pans. In a large bowl, combine flour, baking soda, baking powder, cinnamon, sift these ingredients. Set aside. In another bowl, cream oil, sugar, and eggs. Pour batter into tube pan or two cake pans. Bake for 45 minutes in a tube pan or 30 minutes in cake pans or until a toothpick inserted in the center of the cake comes out clean. Let cool for 10 minutes on cooling rack. Invert cake onto a plate, let cool completely before frosting. With a hand mixer or Kitchen Aid, blend butter, cream cheese, and vanilla. On low speed, add 1 cup of sugar, mix until blended, add another cup of sugar. Sprinkle nuts on top of frosting. That look so good Nettie, and the presentation is lovely! I do love a good carrot cake! 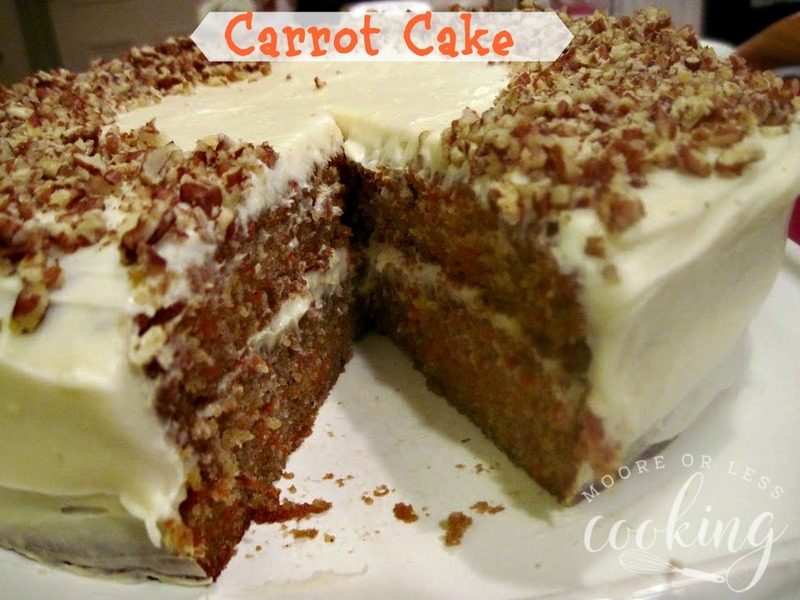 I love carrot cake. My birthday cake of choice was a prune cake that my Grandma made and it was very much like a carrot cake. Since my birthday is Christmas Eve day and we started having a morning coffee party because the rest of the day was so busy, my cake of choice became a coffee cake that has a ton of cream in it. I will have to make this sometime. Yum! Thanks so much for sharing this on Manic Monday!! Just found your site!! 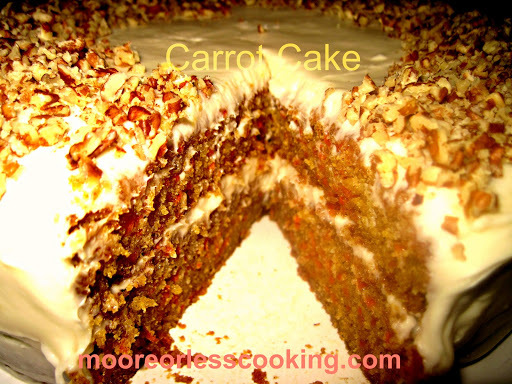 My Favorite cake is also Carrot Cake!! Making it for my birthday tomorrow!! Yum!! This is my favorite cake, hope you get a chance to bake soon!